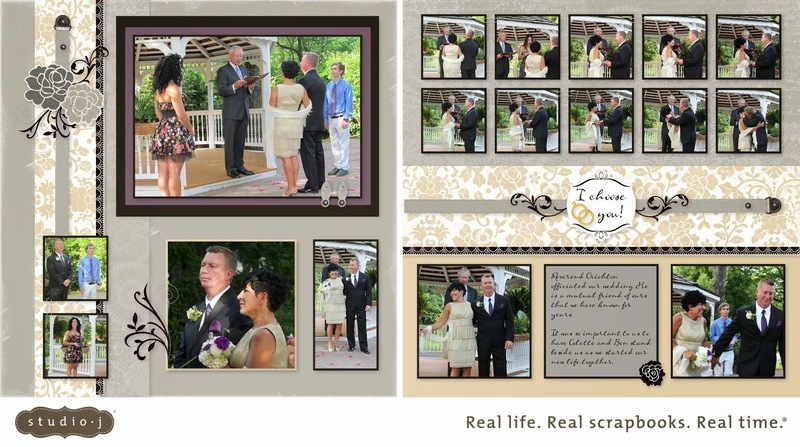 Creating with Christine: Studio J Wedding Album! 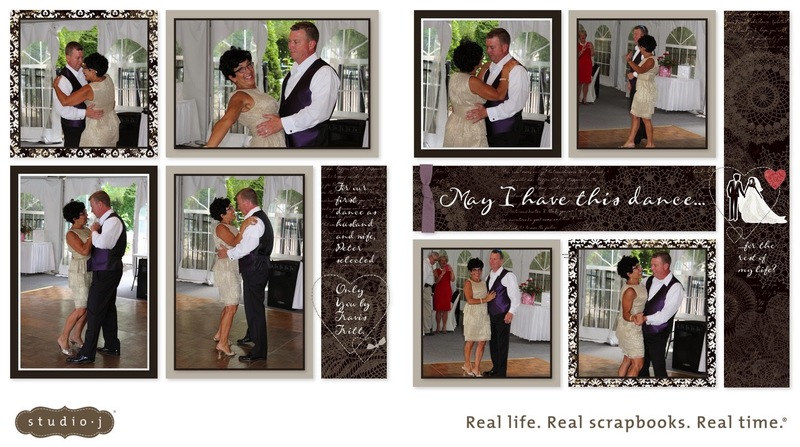 I FINALLY finished the wedding album I was making for my brother and "sister"'s wedding. It was really very easy to do, we just had to coordinate time together to do the journaling, which took much longer than we expected. I love how it turned out! 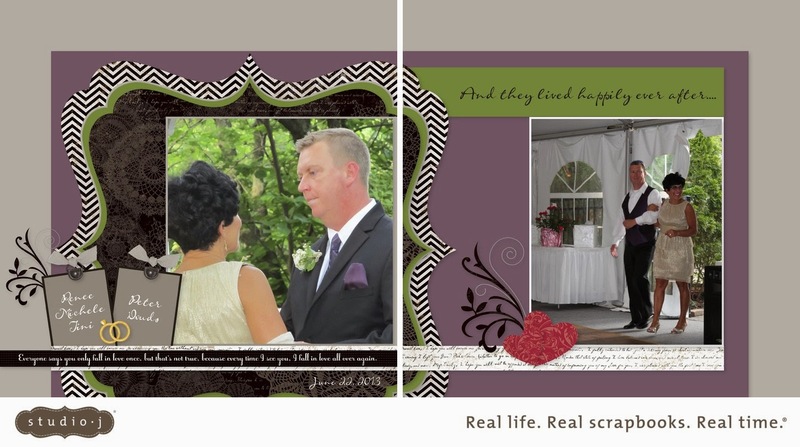 I used our For Always paper kit which is a beautifully neutral black, white, and grey. And then added accent colors to coordinate with the photos. Here are just a couple of my favorites! There are additional layouts of the wedding guests and decor and getting ready, etc. And I even included a layout of the dance party that I was able to use flip flaps on to include even more photos and sequences of the line dancing, etc. I can't wait to receive these in the mail and get them in one of our new albums!! Remember our FANTASTIC Studio J Special during the month of November....al two-page layouts are only $5! Yep, you heard that right! Only $5!! That's $2.50 per page - you can't print photos and buy paper and adhesive and embellishments for THAT price! It's a GREAT deal! Click here to get started creating today! 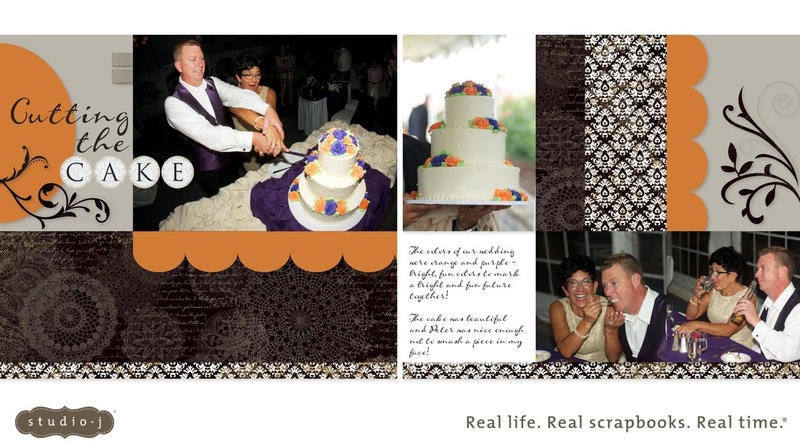 It's FREE to create, you only pay when you are ready to purchase your layouts! Just remember to purchase by November 30th to get the BEST DEAL EVER! Simply adorable!! 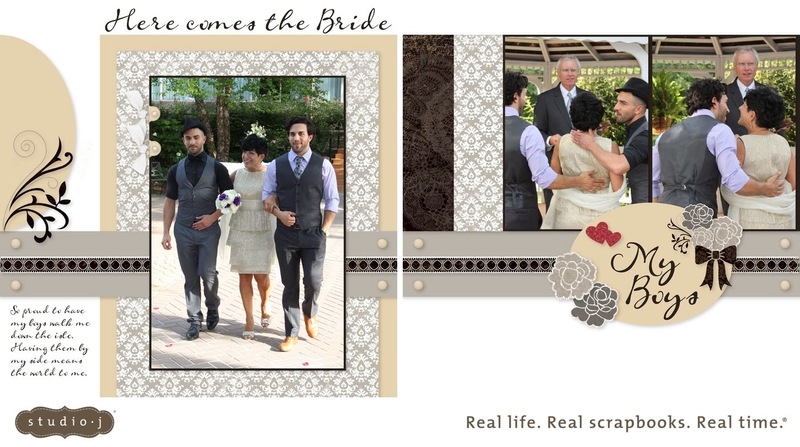 "Christine" your brother's wedding album showing your creativity. Every single detail of wedding showcasing your beautiful album. Thanks for sharing. Thank you! You have a beautiful site as well. Thanks for stopping by! Avonlea Mini Albums with Picture My Life Cards! Stonewall Resort Crop coming soon!